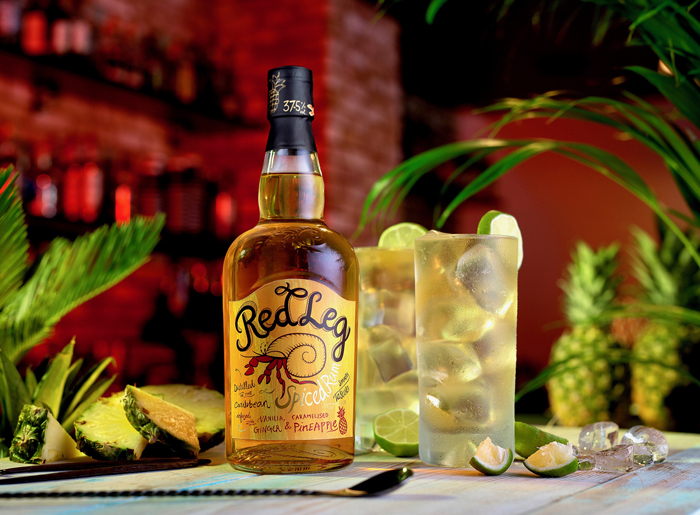 RedLeg spiced rum is extending its range with the launch of Caramelised Pineapple flavour, available in the UK from May 2019. The launch comes as the rum category, and spiced rum in particular, continues to enjoy double digit growth. The new flavour expands on the established success of the RedLeg brand, which is growing faster than the market. RedLeg is owned by Distil and distributed by Hi-Spirits. RedLeg Caramelised Pineapple has 100% natural pineapple and caramel flavour. This brings a new dimension to RedLeg’s original combination of rum rested in oak barrels and infused with Jamaican ginger and vanilla spices, creating a very accessible, mixable spirit. Jade McKenzie, marketing co-ordinator at Distil said: “RedLeg is all about relaxing with good friends. Pineapples have long been a symbol of friendship and hospitality in the Caribbean, with islanders traditionally hanging pineapples on their doors to welcome all inside. Taking inspiration from this tradition, RedLeg Caramelised Pineapple is a celebration of friendship and good times. RedLeg Caramelised Pineapple combines well with simple mixers as well as in more complex cocktails. The recommended perfect serve is a simple Pineapple and Tonic, made by adding a double measure of RedLeg Caramelised Pineapple to a Collins glass with plenty of ice, a dash of gomme syrup topped with tonic water, and a squeeze of lime. RedLeg Caramelised Pineapple is 37.5% ABV, with an RRP of £20. Its vibrant, stand out packaging gives it a high profile on every shelf or back bar. For more information, please contact Hi-Spirits on 01932 252 100, email info@hi-spirits.com or visit www.hi-spirits.com.